Janis Chodas (EngSci 7T8, MASc. UTIAS 8T0) will never forget those words – the verbal go-ahead she gave to launch the Juno spacecraft in 2011 at the Kennedy Space Center in Florida. At the time, the U of T Engineering alumna was the project manager for the Juno mission at NASA’s Jet Propulsion Laboratory (JPL), which sent the Juno to Jupiter. The spacecraft, armed with nine instruments, was “designed to study how Jupiter formed and evolved, in order to understand how our solar system formed and evolved,” said Chodas. The Jet Propulsion Laboratory carries out robotic missions on Earth, as well as in space – including missions to Mars, Saturn, Jupiter and the comet Tempel 1. Chodas’s passion for space exploration is just one of the many reasons she will be receiving an honorary degree June 19 from the University of Toronto. After completing her master’s degree at the University of Toronto Institute for Aerospace Studies, Chodas joined NASA’s Jet Propulsion Laboratory, where she has been for four decades. There, she has led the development of the attitude control subsystems for the Galileo mission to Jupiter and the Cassini mission to Saturn. 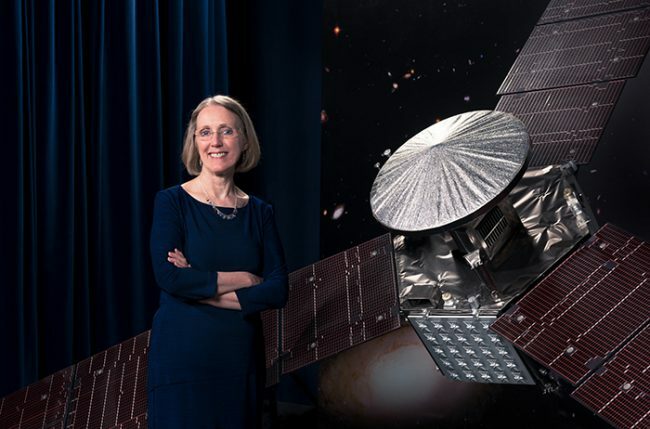 She is currently the director for engineering and science at JPL where she leads around 4,000 engineers, scientists and technologists who carry out JPL’s planetary exploration missions. In her many roles at JPL, Chodas has been a mentor and role model for engineers and managers inside and outside NASA, advocating for more diversity and women in science and engineering. She’s been recognized with numerous awards including NASA’s Exceptional Service Medal for her leadership of the Galileo mission to Jupiter, the Exceptional Achievement Medal for her work on the Cassini mission to Saturn, and the Outstanding Leadership Medal for her contributions to the Mars Exploration Rover project and for her management of the Juno mission to Jupiter.